Situated in the heart of the Algarve, in the the Meridien Penina Golf & Resort, the championship course is considered the most brilliant project of Sir Henry Cotton, triple champion of the British Open who became a golf architect. This was also the first golf course to be built in the Algarve, back in 1966. The experienced Cotton was one of the firsts to recognise the Algarve's huge potential as a golfing destination. The quality and the success of his work encouraged the subsequent construction of many other courses that now exist in the region. The hotel and golf club are unique when it comes to outstanding views, a calm and tranquil setting, and shows nature at its best. 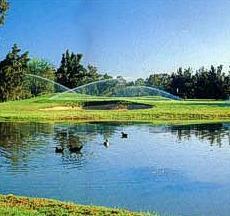 The golf club is a member of the Audubon Co-operative Sanctuary System. The Penina Championship Course has several bunkers, almost four hundred thousand trees, plenty of water with wide greens and a vast tee area, making this a real championship course. The sequence of the holes is very original, for the last nine holes both begin and end with two Par 5. 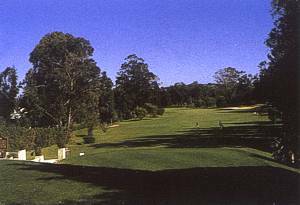 Therefore, the first half of the course is Par 35, while Par for the other nine holes is 38. A new lake has been created to protect hole 5's green and more water has been added around green 13, transforming it into a small island. These are some of the details included in the transformation of the original design, as well as the deepening of the bunkers and the rebuilding of tees according to modern techniques. 40 thousand tons of sand were used to build up the new fairways and 200 kilometres of electric wires were needed to install the new computerised irrigation system. Two nine hole courses (now re-named the Resort Course and Academy Course) are the ideal complement to the Championship course. Facilities: Hotel, Driving Range, 3 Putting Greens, Pitching Area, Trolleys, Club Hire, Pro-shop, Restaurants, Bars.